Vacation rental house. 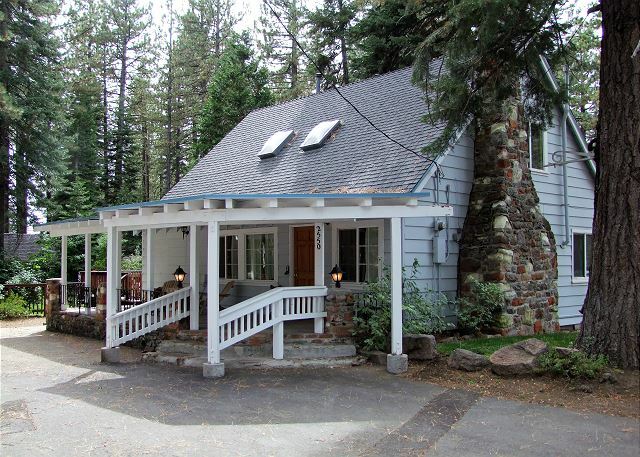 Sleeps 7, 3 bedrooms, 1.5 bathrooms. Dogs allowed. 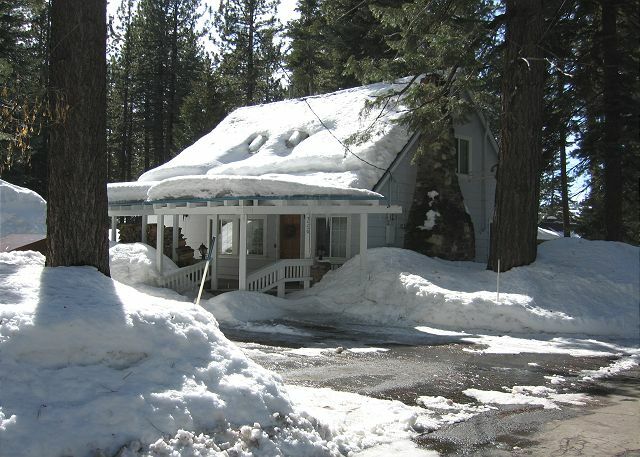 Lodging at this 'Old Tahoe' charmer includes a large and comfortable kitchen, dining room and living room with a grand rock wood burning fireplace. There is a large bedroom down stairs with a Queen size bed and an attached half bathroom. At the top of the stairs there is an open seating area with a futon bed and cozy electric heater for winter or clod summer nights. The other two bedrooms are upstairs. The first guest bedroom is bright and airy with sky lights in the ceiling; you can lay in the Double bed and look up at the Tahoe night ski. The third bedroom is a nice size with two Twin size beds. The front entry is covered so you can easily unload equipment after a day at the slopes. 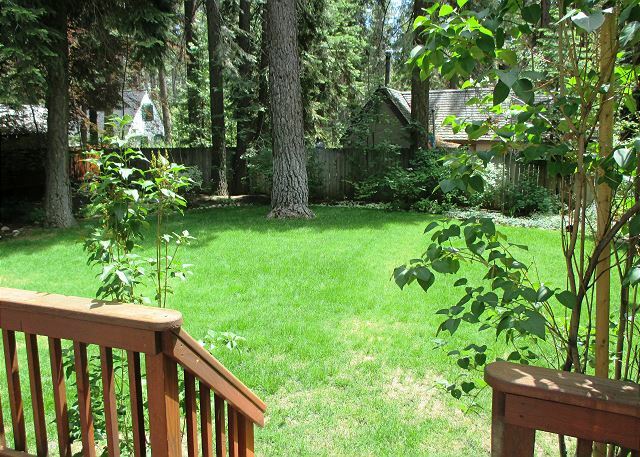 There is a spacious well maintained yard that is fully fenced and is connected to a nice sunny deck for relaxing and entertaining. Also has a custom stone outdoor BBQ for summer entertaining just off of the deck area. The driveway is long so there is plenty of parking. Bring your well mannered pet along too. There is cable TV and Wifi, washer/dryer. 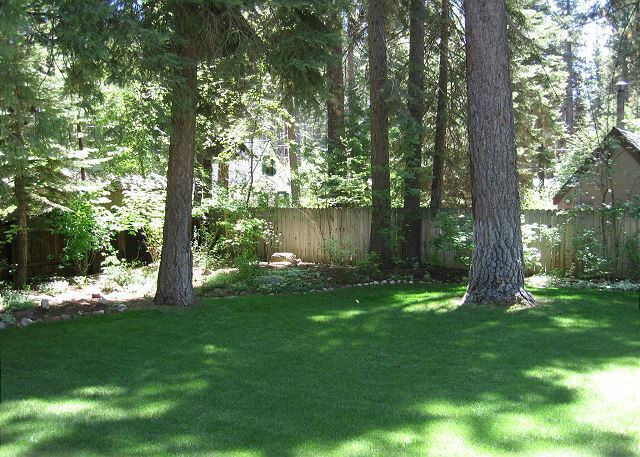 Just minutes from Tahoe City to enjoy shopping, dining or the grocery store for your trip essentials. It is a short walk to several public beaches or pick up the nearby local bike trail. There is a meadow nearby and many trail systems to enjoy the outdoors. 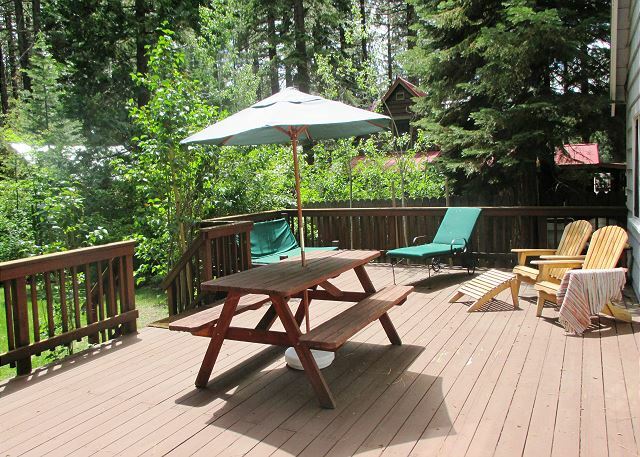 For our boating guests, this Lake Forest vacation rental cabin is close to public boat launch near the Coast Guard station and for winter activities you are centrally located for a short drive to Squaw Valley, Alpine Meadows, Homewood, Tahoe Nordic Center and so much more. *This is an older home with no updates. 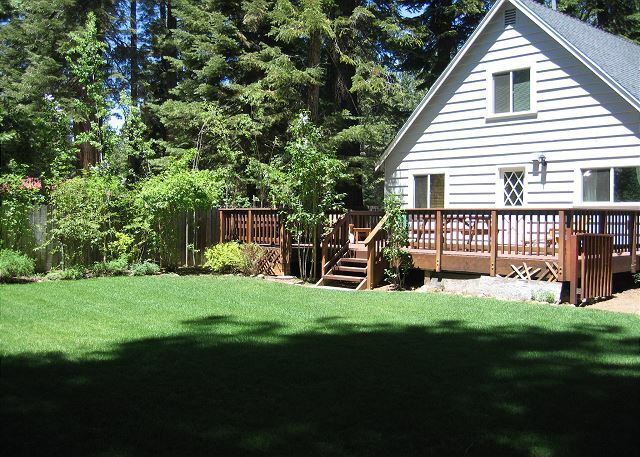 This home is in an Ideal location to explore all of the lake areas trails and shore lines. 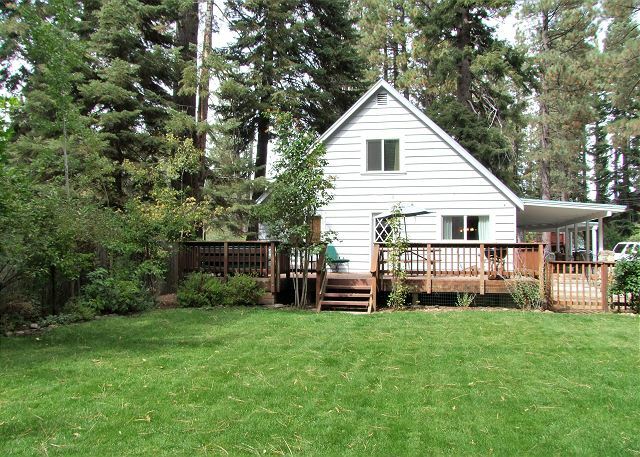 Convenient to town and shot walk to the Lake. House is comfortable provides what you need. The neighborhood is friendl,y clean, very dog friendly.